This is obviously a prank video with an attempt at force inducing viral-ity by Pepsi Max, it’s still a pretty fun watch. 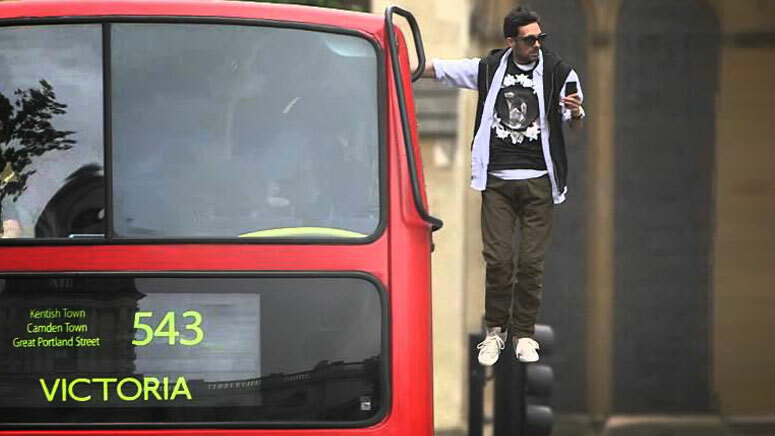 The magician Dynamo tricks people into thinking he can levitate by ‘magically’ following a bus around as it moves across London. This entry was posted in Video, Viral and tagged Dynamo, Floating, fun, london, Magic, magician, Pepsi, Pepsi Max. Bookmark the permalink.